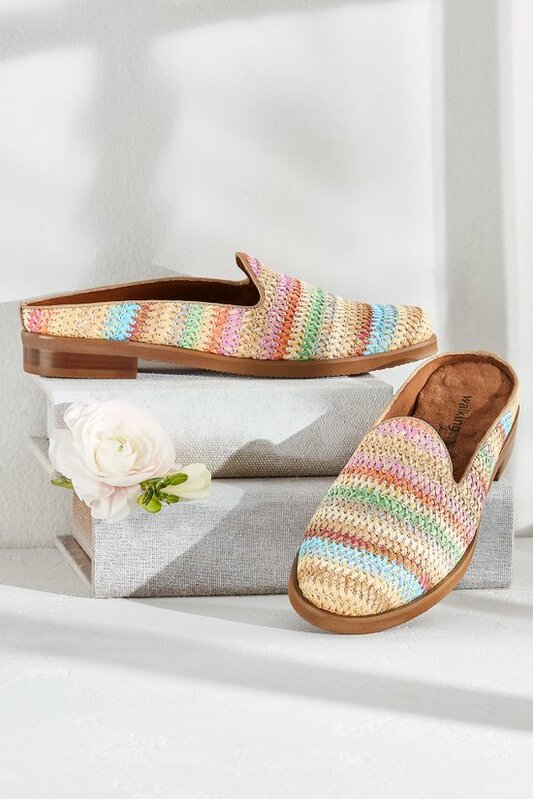 A rainbow of luscious sherbet-colored stripes refreshes these classic slides, handcrafted in lacy crocheted raffia with a sweet, round toe. The cool knit lining and padded leather footbed will keep feet happy for hours or miles on end. 1" heel.